In business, every detail counts, and your parking lot is no exception. Our professionals know that in competitive markets like Waco and Temple, TX, a regular parking lot maintenance can be the deciding factor in a new patron visiting your store or the one down the street. That’s why our professionals offer high-quality services at a low cost. We can complete all of your repairs, restoration, and cleaning at your schedule for minimal interruption to your business. For quick, reliable parking lot maintenance throughout Waco and Temple, TX, call our experts today at 254-716-8685. 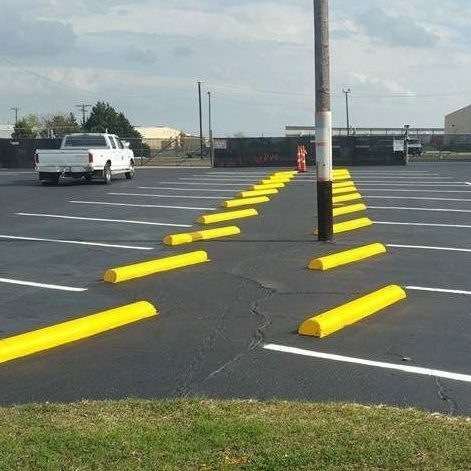 Call our professionals at 254-716-8685 to learn more about how parking lot maintenance for your Waco and Temple, TX business can benefit your bottom line. Whether you need compliant handicap spaces striped or you need new fire lanes marked, our professionals have you covered. We can complete any striping or lining job you require with expertise and guidance. Our experts will walk you through each process to provide information about material costs and benefits, as well as performance and lifespans to ensure you get exactly what you are looking for. No matter what the project, our experts are here to help you get results you will be proud of for years to come. Call us today for parking lot maintenance in Waco and Temple, TX. Pavement Marking Whether you need parking lot lines or directional communication, our experts can provide fast, reliable service to get you back to business. Reflective Painting Learn how reflective paint stands up to the darkest of circumstances and when it can be beneficial to your parking lot. Road Striping Is there a road by your home or business that needs clear, defined striping? Call us for road striping services! Warehouse Striping Keep an organized, safety compliant warehouse with our professional striping for loading docks, walking areas, non-access, and more. No business owner wants to be slapped with EPA or ADA fines. In fact, we go to great lengths to prevent it. Our professionals are trained and experienced in all types of commercial painting and marking to provide compliance at all times. We practice EPA approved reclamation and use environmentally friendly cleaners to ensure that none of our procedures come back to haunt you. When you need compliant, comprehensive parking lot painting and maintenance around Waco and Temple, TX, call our experts at 254-716-8685 to experience the eSquared Asphalt Maintenance difference. Concrete Parking Stop Installation Don’t struggle with loose or broken parking stops that make your parking lot look deficient. Our experts can replace them fast. Fire Lane Painting Services Our experts make fire code compliance easy with accurate and calculated fire lane painting. Handicap Logo Painting Our professionals can revive your old, worn, and peeling handicap logos to ensure you’re completely ADA compliant. Handicap Striping Don’t get caught in non-compliance. Let our experts keep your business ADA approved and compliant. Parking Lot Sealing Our experts can apply your coating to protect against the harshest traffic and weather providing lasting protection to your parking lot. Parking Lot Sweeping Keep your parking lot clean and inviting while keeping it protected from foreign debris that causes breakdown with expert sweeping. Your parking lot is the first impression your patrons have of your business. Make it a good one with our parking lot maintenance services offered in Waco and Temple, TX. Call our experts today at 254-716-8685 to learn more about how our experts can help you. Updated on March 22, 2019 at 3:22 pm by eSquared Asphalt Maintenance.